Please see the news items below from FYI-CSI and the FYI-CSI team. March 10-11, 2019- Dubai- Mark Francis, Dr. Alice Farling and Dr. Vicky Spencer will speak at the Roda Al Murooj Hotel, downtown Dubai. Mark Francis will be a keynote speaker and trainer at this event. Dr. Alice Farling and Dr. Vicky Spencer will speak to and train for participants. The theme is "Building Bridges to an Inclusive Society." Please read the PDF link for more information. July 3-5, 2018- Johannesburg, South Africa- Mark Francis, Dr. Alice Farling and Dr. Vicky Spencer will conduct a 2 day training at North-West University. "Developing supports for the learning needs of ALL learners"
July 2018-Cape Town, South Africa-Mark Francis will present at the DISES 2018 International Conference. He will work with Dr. Alice Farling and hold an invite sessions for many of the Ministers of Education that are attending. They will discuss common issues countries face in developing policies to support the learning of all students. May 2018-Pontiac Academy for Excellence-The team of FYI-CSI present the 2nd Annual Travnikar-Rivard Scholarship to Mr. William Edison. He is a graduating senior that has been a student with an IEP. He will receive $1,000.00 for his future schooling. April 2018-Sofia, Bulgaria-Mark Francis and Dr. Alice Farling work with the team from the Center of Inclusive Education. The work centered around a program analysis and recommendation for a new business plan. April 2018-Mark Francis and Dr. Alice Farling traveled to Montego Bay, Jamaica for a site visit. They represent DISES and are work with the University of the West Indies and Dr. Michele Meredith on a the 2019 DISES International Conference. February 2018-Mark Francis, attended the 2018 Council for Exceptional Children National Conference in Tampa, Florida. He is the current President of the Division of International Special Education and Services (DISES). Dr. Alice Farling currently serves as the Executive Director of DISES. January 2018-Mark Francis officially becomes the new President of the Division of International Special Education and Services (DISES). A division of National Council for Exceptional Children (CEC). Dr. Alice Farling appointed the new Executive Director for DISES. December 2017-Mark Francis and Marcia Young co-presented along with Attorney Vicky Coe on legal issues of special education for Ferris State University and the 20 schools that FSU charters. This was the second part of this training. October 2017-Mark Francis and Marcia Young co-presented along with Attorney Vicky Coe on legal issues of special education for Ferris State University and the 20 schools that FSU charters. This is the first training. October 2017-Big Rapids, Michigan-FYI developed a 2-year contract with Ferris State University to conduct system analysis of the 20 schools and their special education services that FSU charters. Mark Francis, Larry Simpson and Marcia Young begin work with the first 10 schools in the 2017-18 school year. July 2017-Sofia, Bulgaria-Mark Francis presents "The Art of Change-Issues that Challenge School in Moving Forward" at the DISES International Conference. June 2017-FYI signs new contracts with The Pontiac Academy for Excellence and the Hanley-Harper Group to continue providing special education staffing for the 2017-18 school year. April 2017-Boston MA. Mark Francis attended the National CEC conference. He is the President-Elect for DISES and served as the RA representative for DISES to the National Board. The Jamaica Pegasus, the conference site is located in the hub of the New Kingston business district. 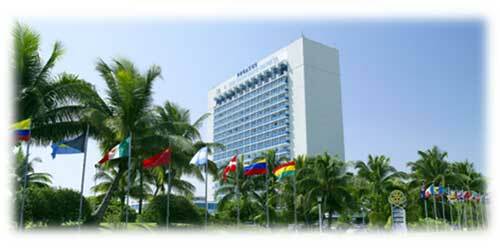 The hotel is in close proximity to other major hotels, banks, shopping centre, and popular park. You will be able to savour the island's 'irie' jerk cuisine within walking distance from the conference site. FYI-CSI is happy to add both the Fredrick Douglas International Academy of Oak Park MI and the Jefferson International Academy of Waterford MI along with the Hanley-Harper Group to our team of schools that we now support. October 2017-Mark Francis and Dr. Jonathan Stout presented at the National Indian Education Association (NIEA) national conference in Reno NV. Their presentation was on the Rights of Parents with Children with Special Learning Needs. August 2017-Mark Francis, Dr. Alice Farling of Florida and Dr. Sheliah Paul of New York started Phase I of a project in Tobago to develop National Policy in the Education of All students. July 2016-Mark Francis, Marcia Young and Larry Simpson successfully held the first International Conference in Havana Cuba for Children with Disabilities that was conducted in English. Historic. September 2015-The team from FYI-CSI adds the Great Expectations Elementary School of Toledo OH to our schools that we support with Special Education services. CLAWSON, MI - Marcia Young, Clawson Public Schools Director of Special Education, received the Special Education Administrators of Oakland County (SEAOC) Gregory Gwisdalla Special Education Administrator of the Year Award at their meeting Friday, September 11. Young was nominated for the award because of her significant contributions on behalf of special education, her commitment to quality service, integrity, diverse involvement, leadership, and personal attributes that make her an outstanding representative of the Gwisdalla Award. Young has led the Clawson Public Schools Special Education Department since 2003. 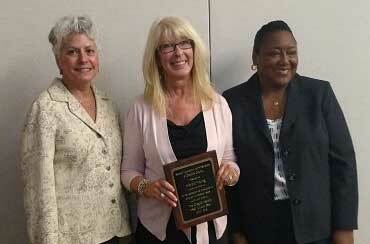 She said, "Receiving this recognition from my peers is overwhelming and surprising. I am deeply honored to be in the company of the outstanding and committed administrators who were previous recipients of this meaningful award." The award was created to honor the memory of Gregory Gwisdalla, a tireless advocate for improved services and life outcomes for all children. Gwisdalla was a distinguished leader in special education administration at the local, county, regional, and state levels. He was Director of Special Education at Oakland Schools at the time of his passing.